I love colors and thus I have a really hard time creating monochrome photos. I can easily appreciate a good black and white photo from someone else but when it comes to my own photography, most of the time I prefer the original in color. 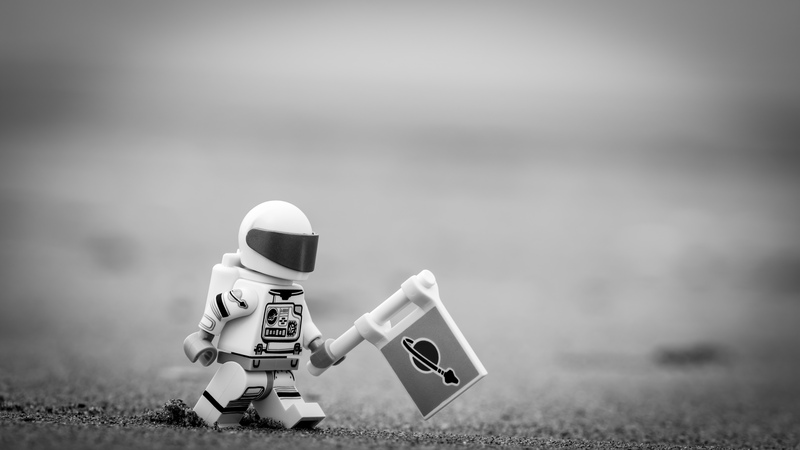 The many black and white pictures I saw on social networks of the new collectible spaceman inspired me to make one myself. I thought it would be a good opportunity to force myself work in black and white. Unfortunately I still prefer the color version over the monochrome one. Maybe the only thing that could force me to work in monochrome is a film camera?